Through YOUR donation you are helping to provide a breast health EDUCATION workshop in the community. Through YOUR donation your are supporting groundbreaking RESEARCH to help find a cure for breast cancer. Through YOUR donation you are supporting a mammogran for a person who otherwise couldn’t afford SCREENING. Through YOUR donation you are helping to make sure that a person who otherwise couldn’t afford DIAGNOSTIC SERVICES and TREATMENT has access to care. 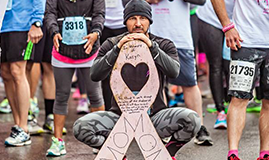 Thank you for making a donation on behalf of 2019 Komen South Florida Race for the Cure.